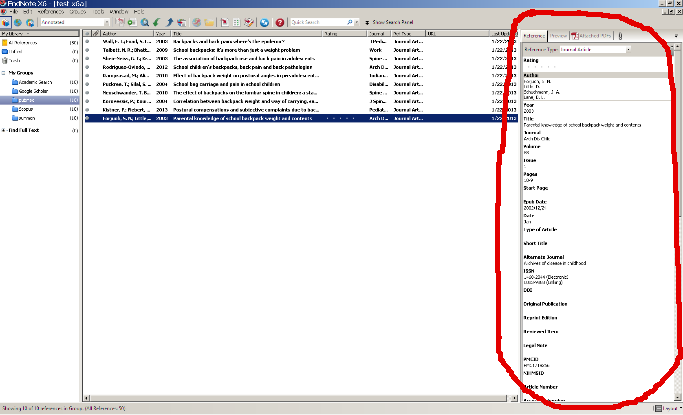 EndNote’s column headings are able to be sorted. Simply click on a heading for all of your references to be sorted (e.g. clicking on “year” will sort all of your references by year). You can also change the size of the headings. b) Highlight a reference and look at the right of the screen. With this option, all of the same information will be displayed - it will just be displayed more compactly. 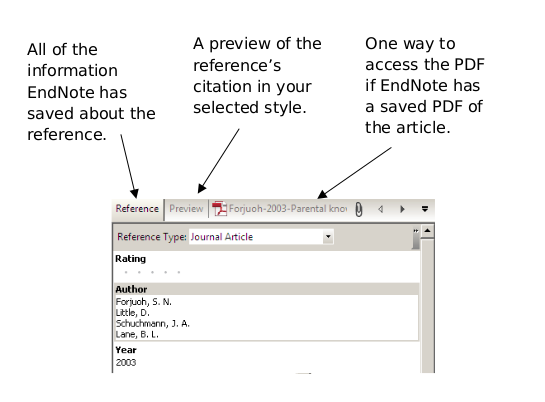 When viewing an item’s record, you may update or change any field in EndNote. It is all editable. Simply click in the field and make your changes, just like you would edit any text. One notable field is the “Research Notes” field that you can use to enter your own searchable notes. This field can hold up to 16 pages of text.